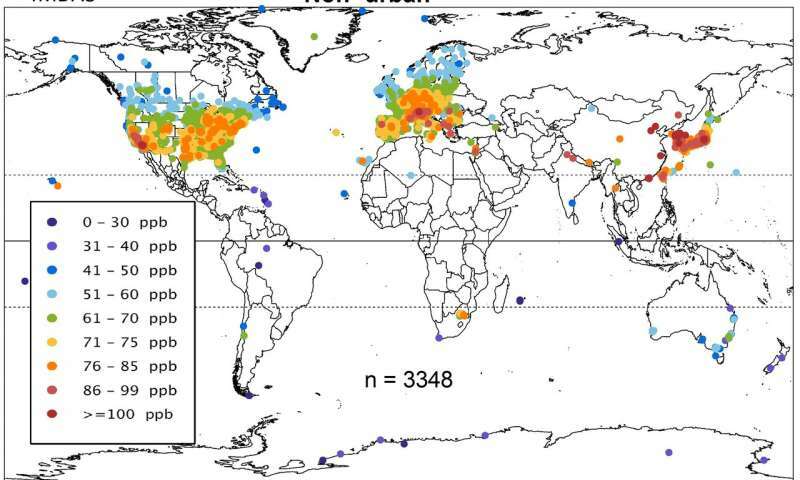 That's one conclusion from a new health assessment based on the Tropospheric Ozone Assessment Report or TOAR, an effort by the International Global Atmospheric Chemistry Project to create the world's most comprehensive database of surface ozone observations from all available ozone monitoring stations around the globe. The paper was published today in the journal Elementa: Science of the Anthropocene. "TOAR is not just a report," said Owen Cooper, a CIRES scientist working at NOAA who chairs the TOAR Steering Committee and has been working to develop the assessment since 2014. 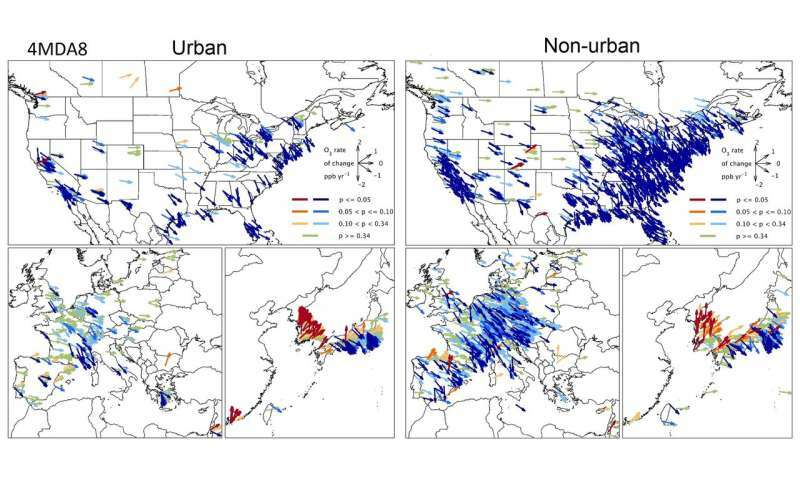 "We created the largest database of surface ozone from hourly observations at more than 4,800 monitoring sites worldwide, and we're making these data freely available to anyone who wants to investigate the impact of ozone on human health, vegetation, and climate." "Despite some reductions in air pollutant emissions in Europe and North America, human health impacts from ozone are still a cause for concern across the world and are rising in parts of East Asia, with the potential for serious health effects on their populations," said Zo? Fleming, a researcher with the National Centre for Atmospheric Science at University of Leicester's Department of Chemistry. Fleming and Ruth Doherty of the University of Edinburgh were co-lead authors on the study, with co-authors from 12 international institutions. TOAR is a project of the International Global Atmospheric Chemistry project, with support from NOAA, Forschungszentrum Jülich and the World Meteorological Organization.